In August 1971, David Bowie’s manager Tony Defries had 500 promo LPs pressed to secure him and other Mainman artist Dana Gillespie a record deal. 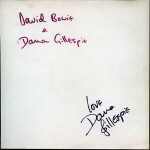 This promo album, featuring seven songs by David on side A and five by Dana Gillespie on the flip, is often being referred to as the BOWPROMO white-label album. The LP came in generic white outer and inner sleeves and had no printed labels, so its matrix number (BOWPROMO 1A-1/1B-1) is the only way to safely identify it. Most of the Bowie songs on this promo LP would appear four months later on Hunky Dory. 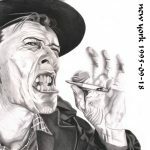 However, as the recording and mixing of that album had not yet been finished, it transpired that the BOWPROMO LP contained two songs that would not end up on any official album for the next 20 years in any version—Bowie’s ‘Bombers’ and Gillespie’s ‘Lavender Hill’. Besides, it features marginally to very different early mixes/versions. Side A opens with a version of ‘Oh! You Pretty Things’ that sounds very close to the Hunky Dory version, but with a few subtle differences. Bowie’s vocal is slightly more upfront on the Hunky Dory version, while the piano on the BOWPROMO version sounds much more ‘spatious’. The only genuine difference that is detectable though is the amount of reverb used on the chorus. The BOWPROMO uses this on both the main and backing vocals, whereas the album version uses much less, if any, for both. On Hunky Dory, the guitar is more central during the intro, drifts to the left and then back to the centre for the end. On the BOWPROMO version it starts on the right then switches between left and right during the second half, again ending in the centre. On the BOWPROMO, the piano completely natural sounding, whereas on the Hunky Dory it has a flanging effect applied. However, this version is best known for a different vocal take. 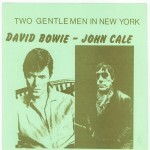 Bowie sings ‘The tactful cactus by your window’ vs ‘Tactful..’ and ‘They’ve opened shops…’ vs ‘Opened…’. The echo used on ‘collision’ in the line ‘Mobile spins to its collision’ is also missing on the BOWPROMO. 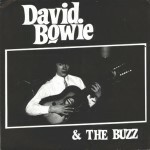 This song was possibly already recorded before ‘Changes’ and ‘Life On Mars’, as the latter two are not included on the BOWPROMO album. 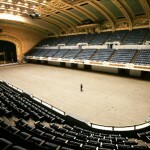 Of course they would have been very likely candidates to secure Bowie a record deal. 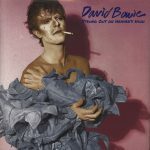 ‘It Ain’t Easy’ ended up in 1972 on Ziggy Stardust, in an identical version. This tribute to The Velvet Underground appeared in slightly different form on Hunky Dory. Compared to the latter, the BOWPROMO lacks any reverb on the vocals but adds some reverb on Mick Ronson’s riff. The BOWPROMO version can identified easiest by the very subdued ‘Hmmm’ at the very end, which apparently later was overdubbed on the Hunky Dory version. The intro of the Hunky Dory version is in mono and only opens up to stereo at 0’51” (‘I’m frightened by the total goal…’); the intro on the BOWPROMO is in full stereo from the very start. Furthermore, some additional strings have been added to the Hunky Dory version at 3’20” (‘If I don’t explain what you ought to know…’). The version of ‘Bombers’ that in 1990 ended up as a bonus track on the Rykodisc edition of Hunky Dory is a rather tinny mix, lacking in bass. Besides, at 0’23” (“Seemed a good idea to drop a bomb on the wasteland here”) and 1’12” (“So the Pentagon sent a cable and the Queen a telegram”) into the Ryko mix, there are extra drum beats that do not sound convincingly intentional. 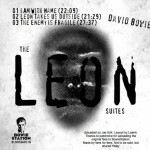 As can be heard in the audio excerpt, these ‘jumps’ are absent on the BOWPROMO album. 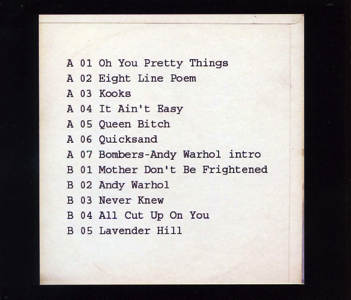 Also interesting is that ‘Bombers’ develops into an alternate version of the intro to ‘Andy Warhol’, which runs slightly longer, as it includes a strum on the acoustic guitar and a few more laughs of Bowie at the very end. ‘Bombers’ and part of the intro to ‘Andy Warhol’ have appeared on the ChangesThreeDavidRobertJones (Grace AZL1-1984) bootleg LP. The ‘Andy Warhol’ intro is also found on MissingLinksOneZiggy (Icon One), but the sound quality of both recordings is rather poor. The first of five Dana Gillespie tracks on side B. This song, which was produced and arranged by David Bowie and Mick Ronson, appeared in 1974 on her Weren’t Born A Man album in a more complex mix, with added instrumentation.